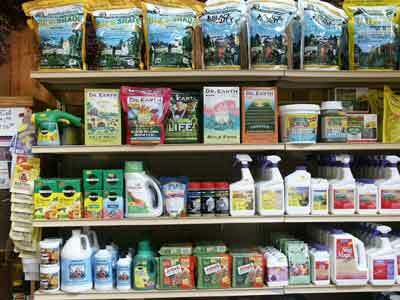 We have a great selection of products to keep your lawn healthy and vibrant. We feature Jonathan Green grass seed as well as both conventional and organic fertilizer. We offer grass seed by the bag or loose, depending on whether you're planting an entire lawn or just filling in patches left by winter's abuse. As you know, just as soon as your neighbors rave about your beautiful lawn & garden, the word spreads to those nasty weeds and pests. We have all you need to take control of your outdoor domain - just talk to one of our Garden Experts about your issue and they will point you in the right direction.